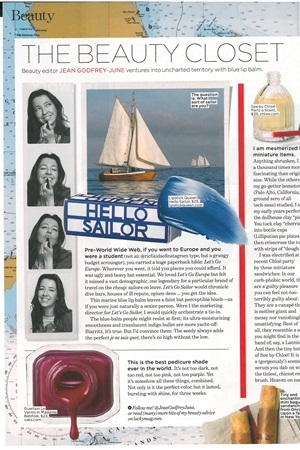 In the November 2013 issue, Lucky boasts what it calls the best pedicure shade ever in the world. Not only does Guerlain Le Vernis in Madame Batifole burst with shine and last for up to three weeks, but it's the perfect red/pink/purple combination. A skin care product that helps seal and retain moisture in the skin; can be used as part of a manicure or pedicure as well.